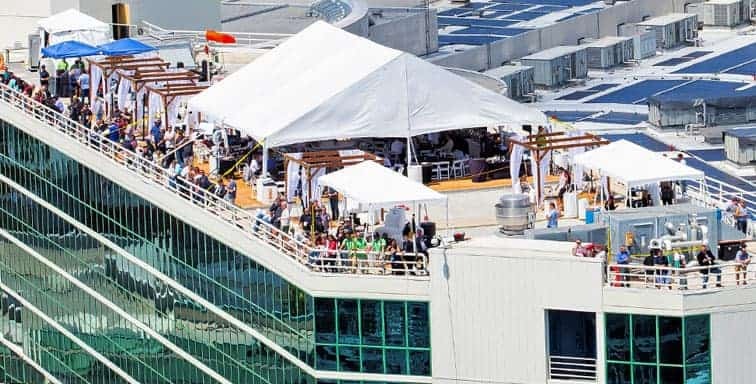 Spectacular views high atop the roof of the 17-story Hyatt Regency Hotel of the iconic ocean front straightaway and turns 1 through 6 which makes this club the most breathtaking place from which to watch the races. Passes include circuit admission and access to the Vista Club. NTT IndyCar Series Paddock access is included for each individual day. Official Acura Grand Prix of Long Beach Souvenir Program. Official Fan Guide highlighting all the race week activities. Two Saturday and/or Sunday parking passes per 10 tickets purchased. Open-air hospitality marquees and canopied area. Flat-screen televisions with live feed. Complimentary Saturday and Sunday morning Bloody Marys or Mimosas. Complimentary beer, wine and soft drinks on Saturday and Sunday. Complimentary continental breakfast on Saturday and Sunday. Complimentary buffet lunch on Saturday and Sunday. Due to safety regulations, no one under 18 years of age can be admitted. 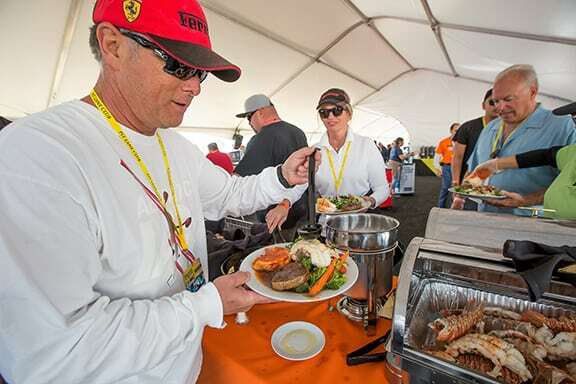 The highest form of individual VIP hospitality experience! You’ll be immersed in the action overlooking pit lane and the front straightaway as the racing drama unfolds right before your eyes! Passes include circuit admission and access to the Pit Lane Club. Pit Lane Club reserved seating for all 3 days. Up to 9 hours of Pit Access during posted times over the 3-day weekend (18 yrs.+). 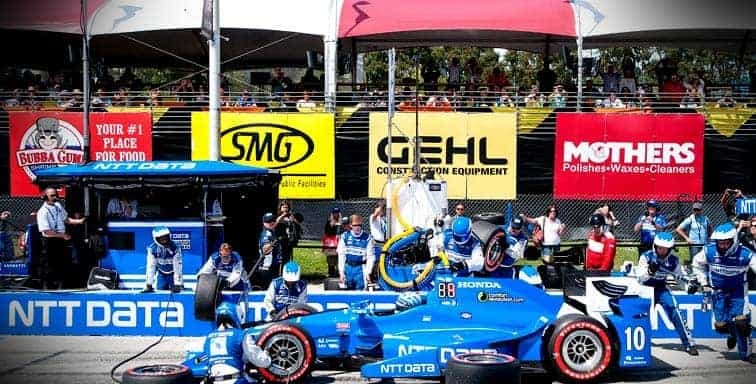 Exclusive access to purchase Overpasses for Pit Access during practice, qualifying and up to 30 minutes before the start of the IndyCar Race. Complimentary Acura Grand Prix of Long Beach souvenir. Official Acura Grand Prix of Long Beach Program. One parking pass with every two club passes purchased. Elevated, canopied terrace outdoor seating above the pit lane and track. Flat-screen television with live feed. Complimentary full open bar with cocktails, beer, wine and soft drinks. Complimentary gourmet deli lunch served on Friday. Complimentary fine dining served Saturday and Sunday, includes steak & lobster on Sunday. For Individual ticket buyers looking for the Seaside Suite experience! Located near the end of the high-speed Seaside Way back straight, you’ll watch the cars as they set up for the all-important Turn 9 and 10 and famous hairpin turn before hitting the front straightaway. Passes include circuit admission and access to the Seaside Club. Seaside club reserved seating for all 3 days. Up to 9 hours of Pit Access during posted times over a 3-day race weekend (18 yrs.+). Official Acura Grand Prix of Long Beach Souvenir Program delivered Saturday. 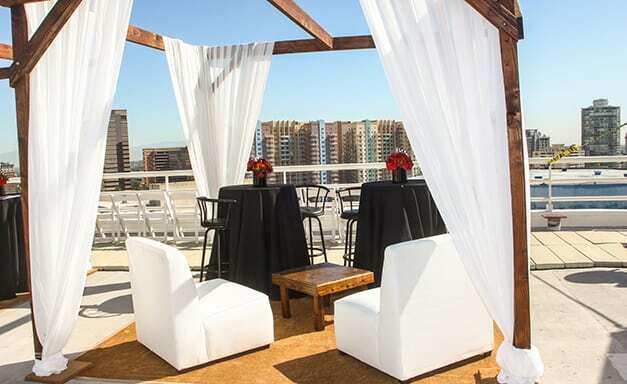 Elevated, canopied terrace outdoor seating overlooking the track. Open-air picket fence hospitality patio area. Complimentary beer, wine and soft drinks on Saturday and Sunday with full-service cash bar available. Located at the Bubba Gump Shrimp Co. Restaurant (87 Aquarium Way), across the street from iconic dolphin fountain, at the end of the front straightaway, just prior to the critical Turn 1 left-hander, an important passing spot on the circuit. Sunday circuit admission and seating in Grandstand 30, 31, or 36. Sunday Bubba Gump Turn One Club admission pass. Flat-screen TVs with live closed-circuit feed. Bubba Gump Shrimp Co. Restaurant outdoor patio seating. Complimentary nonalcoholic beverages & full-service cash bar. Open all three days, this club is probably the best-kept secret on the track and a great party scene at a very attractive price! Club C300 is run by the famous “redcoats” of the Committee of 300, a non-profit, community service group in Long Beach for more than 40 years. Sunday-only Club C300 pass includes Sunday circuit admission and reserved seating in Grandstand #24, 26, 30 or 31. Saturday-only Club C300 pass includes Saturday circuit admission and reserved seating in Grandstand #16 or 26. See the race in style from Club C300, and you’ll be supporting the Committee of 300 and its volunteer efforts in the Long Beach community! To order these tickets, call the Grand Prix ticket office at (888) 827-7333 or the Committee of 300 at (562) 981-9200. Click here to download VIP Club information! For Club C300 information, please call the Committee of 300 at (562) 981-9200, e-mail: [email protected].